Not many artists have enjoyed a recording career that spans fifty-four years. One man has. Bob Dylan. There’s a reason for this. Constantly, Bob Dylan has sought to reinvent himself. Having began life as a folk singer, he went on to release albums of country, gospel, blues, rock ’n’ roll and rockabilly and jazz. By constantly reinventing himself, Bob Dylan has enjoyed an unrivalled longevity. His recording career began with his eponymous debut album Bob Dylan in 1962. Fifty-four years and 100 million albums later, and Bob Dylan is one of the most successful and decorated recording artists ever. He’s won Grammy Awards, Golden Globes, Academy Awards, and been inducted into the Rock ’N’ Roll Hall Of Fame. Then earlier this year, Bob Dylan won the Nobel Peace Prize for Literature. His late acceptance of the award resulted in a major controversy. Not as much as last year, when Bob Dylan decided to reinvent himself as a crooner. Inspired by Frank Sinatra, Bob Dylan crooned his way through ten of his favourite jazz and pop standards. This became Shadows In The Night, Bob Dylan’s thirty-sixth album. However, Shadows In The Night however, has divided opinion. Shadows In The Night divided the opinion of even the most loyal Bob Dylan fan. They seem to either love or loath Shadows In The Night. There appears, is no middle ground. 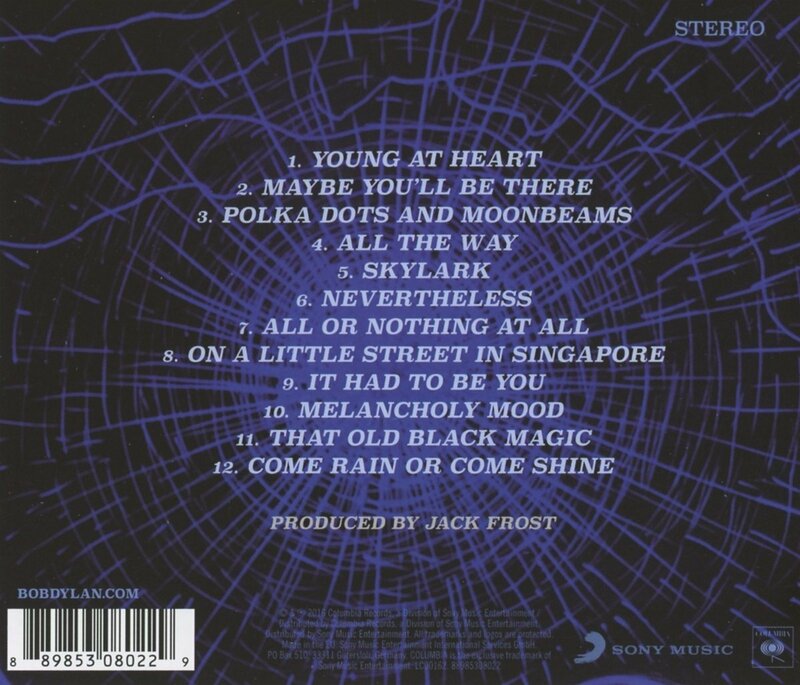 Essentially, Shadows In The Night was a Marmite album. Many of his loyal fans hoped that there would no followup. Others, however, felt that Bob Dylan had reinvented himself as a crooner, and hoped he would return to the Great American Songbook. Their wish was recently granted when Columbia released Fallen Angels, another album where Bob Dylan dawns the role of crooner. For Shadows In The Night, Bob Dylan dipped into the Great American Songbook. He chose twelve songs from some Johnny Mercer, Harold Arlen, Sammy Cahn and Carolyn Leigh. Just like the songs on Shadows In The Night, most of these songs on Fallen Angels had been recorded by The Chairman Of The Board, Frank Sinatra. The exception Skylark, which was penned by Hoagy Carmichael and Johnny Mercer. Apart from that, Bob Dylan once again, follows in the footsteps of Frank Sinatra. Just like Shadows In The Night, Bob Dylan put great care in to choosing the material for Fallen Angels. 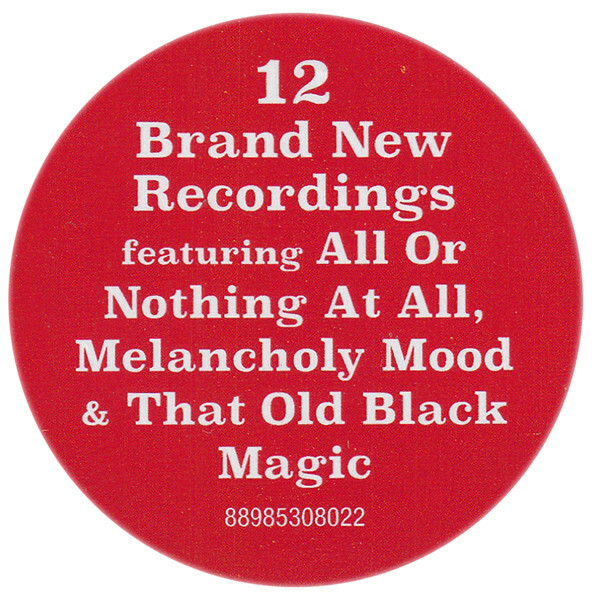 Eventually, after some great consideration and no end of contemplation, he chose twelve songs. This included Johnny Richards and Carolyn Leigh’s Young At Heart; Rude Bloom and Sammy Gallop’s Maybe You’ll Be There; Jimmy Van Heusen and Johnny Burke’s Polka Dots and Moonbeams; Van Heusen and Sammy Cahn’s All The Way; Hoagy Carmichael and Johnny Mercer;s Skylark and Harry Ruby and Bert Kalmar’s Nevertheless. They were joined by Arthur Altman and Jack Lawrence’s All Or Nothing At All; Peter DeRose and Billy Hill On A Little Street In Singapore; Isham Jones and Gus Kahn’s It Had To Be You and Walter Schumann and Vick R. Knight Sr’s Melancholy Mood. Closing the album were two Harold Arlen and Johnny Mercer compositions, That Old Black Magic and Come Rain Or Come Shine. These songs would be recorded between February 2015 and March 2016. At Capitol Studios, Los Angeles, where Frank Sinatra recorded many of classic recordings, work began on Fallen Angels. Producer Jack Frost and Bob Dylan were joined by a rhythm section of drummer George Recile, bassist Tony Garnier and guitarists Charlie Sexton, Stu Kimbal and Dean Parks. They were joined by Donnie Herron on viola and steel guitar. James Harper took charge of the horn section. Once the album was complete, Fallen Angels was mixed by Al Schmitt. It was then scheduled for release in mid 2016. Before that, critics had their say on the album. Mostly, the critics appreciated and understood what was another successful excursion into the Great American Songbook. Bob Dylan seemed to be growing into the roll of crooner and embracing it further on Fallen Angels. Just like on Shadows In The Night, producer Jack Frost is responsible for understated, spartan arrangements. They provide the perfect backdrop for Bob Dylan. That’s case from the opening track, Country Home with its country-tinged arrangement. It’s a similar case on Maybe You’ll Be There, a tale of love lost where a wistful Bob Dylan lives the lyrics. That’s the case on All The Way, Nevertheless and All Or Nothing At All, where Bob Dylan’s vocal seems tailor made for the songs. Other songs are reinvented by Bob Dylan and his band. This includes Polka Dots And Moonbeams, Skylark and On A Little Street In Singapore. Their guitar lead arrangements set the scene for Bob Dylan’s lived-in vocal. One of his finest vocals comes on the jazz-tinged cover It Had To Be You. His vocal exudes hurt and heartache. This hurt and heartache becomes melancholy on another jazz-tinged song, Melancholy Mood. It is proof if any was needed, that Bob Dylan is a talented crooner. Sadly, all too soon, Fallen Angels is nearly over. All that remains are the two Harold Arlen and Johnny Mercer compositions. That Old Black Magic is reinvented, as the tempo increases and Bob Dylan ensures the song swings. The latest crooner in town then takes his bow on a beautiful heartfelt cover of Come Rain Or Come Shine. What better way to close Fallen Angels? It’s without doubt, the perfect followup to Shadows In The Night. However, the big question was how would Bob Dylan’s fans react? Some had loved Shadows In The Night, others loathed the album. When Fallen Angels was released, it seemed record buyers were embracing Bob Dylan’s role as a crooner. Fallen Angels reached number seven in the US Billboard 200, twenty-four in Canada and five in the UK. Across Europe, Fallen Angels sold well, reaching number one in Austria, three in Belgium, two in the Czech Republic, seven in Germany and Holland, five in Eire, two in Italy, eight in Norway, five in Sweden and four in Switzerland. Elsewhere, Fallen Angels reached number eleven in Australia and New Zealand. Fallen Angels was a resounding success, reaching the top ten in twelve countries and top thirty in twenty-one countries. Bob Dylan’s fans had spoken, and embraced his new role as a crooner. This is just the latest change in direction from a musical chameleon. Alas, despite the success of Fallen Angels, it has attracted the slings and arrows of some Napoleonic music fans. They don’t welcome this latest change in direction from Bob Dylan. Many of these fans are same ones that objected to Bob Dylan plugging in 1966. It seems that what they haven’t quite worked out, is if Bob Dylan hadn’t constantly changed direction, he would neither have enjoyed the same relevance nor longevity. 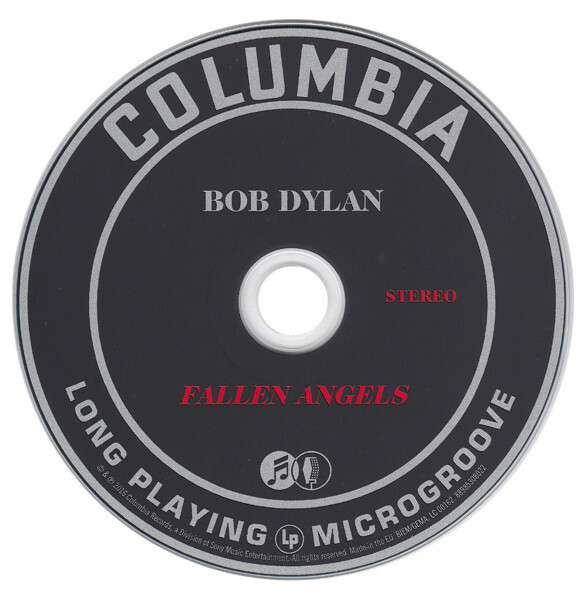 Fallen Angels is the thirty-sixth studio album in Bob Dylan’s thirty-four year recording career. During his career, Bob Dylan has refused to stand still, and has sought to reinvent himself. The former folk singer has released albums of country, gospel, blues, rock ’n’ roll and rockabilly, jazz and now is dipping into the Great American Songbook. Bob Dylan it seems, is the original musical chameleon. Crooning, is just the latest reinvention of Bob Dylan. 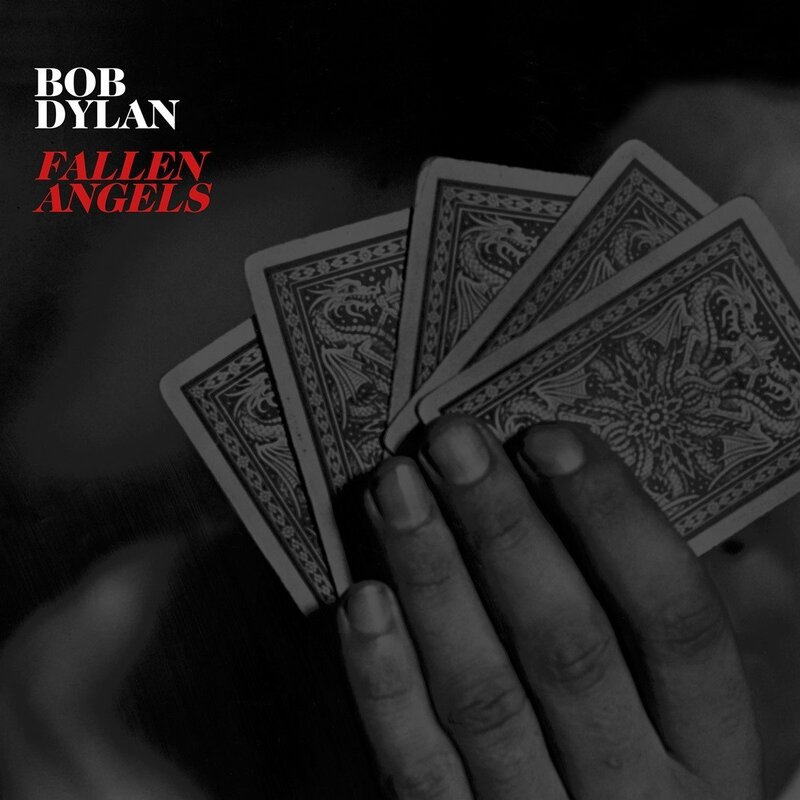 Fallen Angels is the second album where Bob Dylan dawns the role of crooner. Just like on Shadows In The Night, it’s a role that suits him and is one that he should embrace and revisit in the future. His lived-in, world-weary vocal is perfect for crooning. It’s a role that’s suited to older vocalists, like the late, Leonard Cohen and of course, Bob Dylan. He can breathes life, meaning and emotion into the twelve tracks on Fallen Angels. Bob Dylan sounds as he’s lived, loved and survived to tell the tale. Although he might not have the smooth voice of Frank Sinatra, he still has the ability to bring the songs to life. This ensures that songs speak to the listener and resonate emotionally. That was the case on Shadows In The Night, and is the case on Fallen Angels, which was recently released on Columbia. It’s Bob Dylan’s second excursion into the twilight world of crooner, and finds him following in the footsteps of Frank Sinatra. Just like the Chairman Of The Board, the role of crooner suits Bob Dylan. His lived-in vocal is perfect for crooning, which is the latest reinvention of the chameleon-like Bob Dylan. This is the perfect role for Bob Dylan. It’s a role he has grown into later in his career. Now is the time for Bob Dylan to croon. His lived-in, worldweary vocals breath new life, meaning and melancholia into the late-night, smokey sounding songs Fallen Angels, which introduce the newest crooner in town, Bob Dylan. ← PERRY COMO-I THINK OF YOU, IN NASHVILLE, JUST OUT OF REACH AND TODAY.